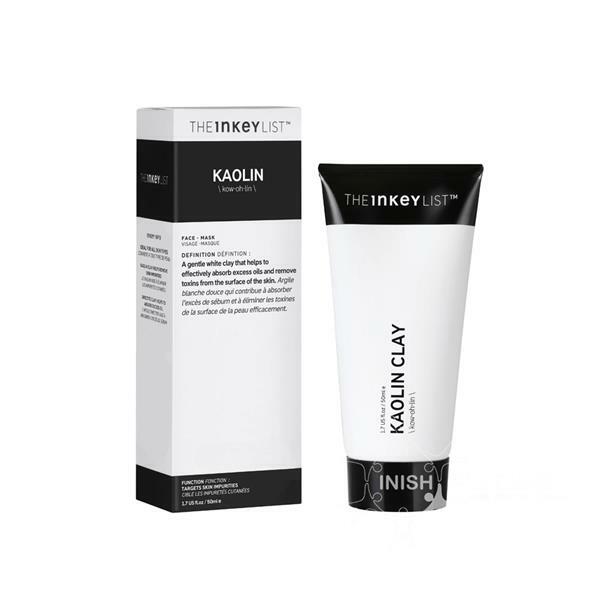 The Inkey List – Kaolin is a gentle white clay mask suitable for all skin types. It absorbs excess oil, removes toxins, unclogs pores and helps to draw out impurities from the skin for that ultimate deep cleanse leaving skin clearer and more even. Use in the AM or PM once or twice a week. Apply a thin layer to dampened, clean skin. Leave on for 10 minutes and rinse with warm water. Pat face dry and continue with the rest of your routine.